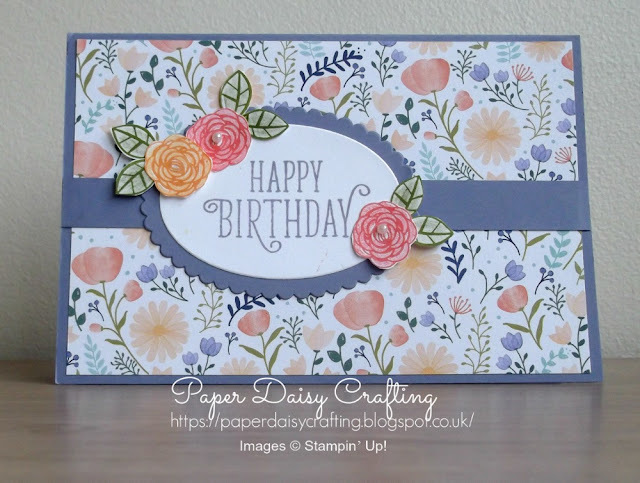 Paper Daisy Crafting: Happy Birthday Gorgeous from Stampin' Up! 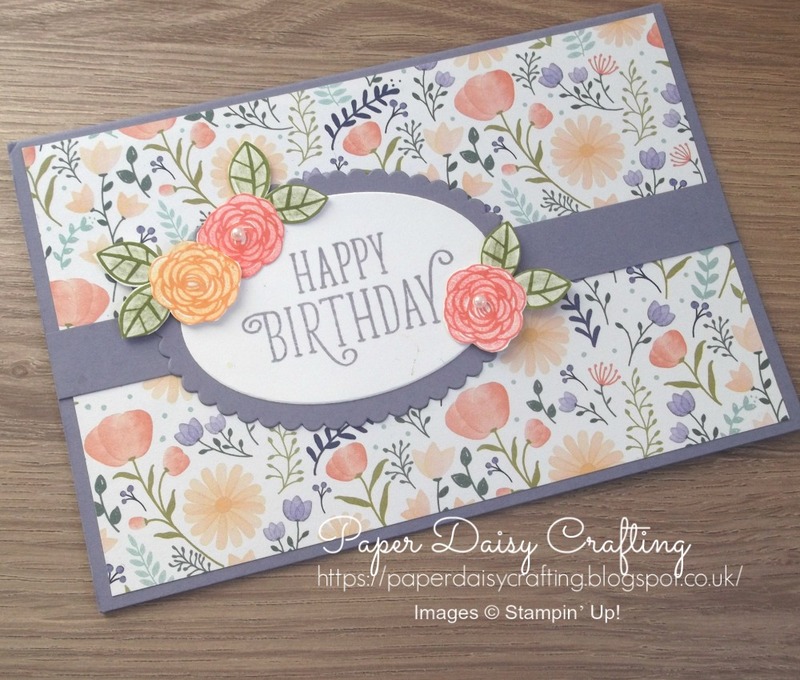 Happy Birthday Gorgeous from Stampin' Up! With all the lovely new products in the Spring Summer catalogue and the excitement of all the great Sale-a-bration offers, it is very easy to forget all the gorgeous sets in the Annual Catalogue. So I decided to revisit one of my favourite sets - "Happy Birthday Gorgeous". This is actually one of the cards we made at one of my classes last year - just have not shared it until now! I've used one of the very pretty Delightful Daisy papers on a base of Wisteria Wonder. 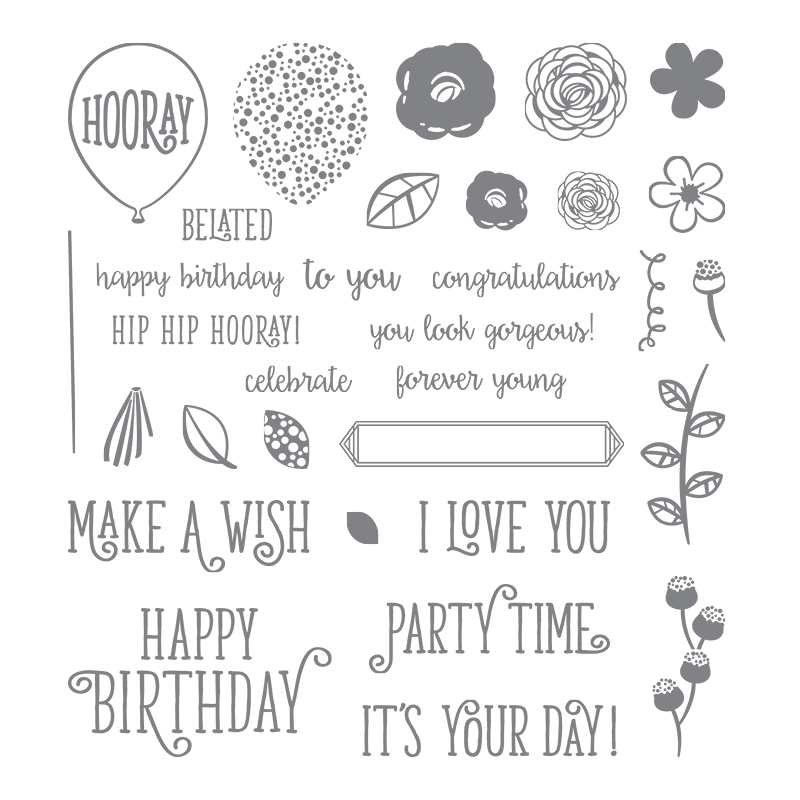 The oval panel is die cut using the Layering Ovals and the greeting is stamped with Wisteria Wonder ink. The flowers and leaves are stamped onto Whisper White and fussy cut. The outline of the flowers were stamped first in either Calypso Coral or Peekaboo Peach and then stamped a second time with the solid stamp after "stamping off". The leaves were stamped in Old Olive and then coloured with one of our Watercolor pencils. 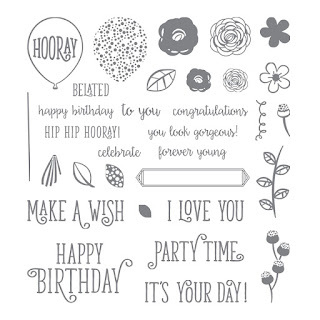 Such a useful set, for only £19.00, with loads of sentiments in lovely fonts and flower and balloon images. And don't forget that at the moment, for every £45 you spend from any catalogue you can choose a free product from the Sale-a-bration leaflet. 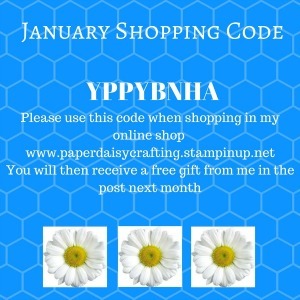 Use my monthly shopping code and you'll also receive a free gift from me in the post next month. What are you waiting for?